Michael provides in-depth counselling and psychotherapy. With over 30 years of experience in mental health care he is well qualified and experienced to help people with a wide range of mental and emotional difficulties such as anxiety (e.g. social anxiety, agoraphobia, OCD), depression, low self-esteem, and personality/relationship difficulties. His experience is in both individual and group therapy. 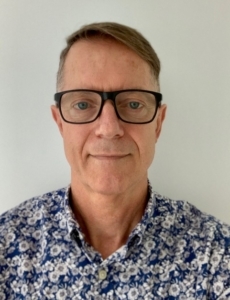 Michael was previously the Clinical Director of the ADHB psychotherapy service – for 20+ years; as such he has unique experience in joint leadership/management/clinical roles and enjoys providing supervision (both clinical and management) to other health professionals. Michael sees men and women for both short and longer-term psychotherapy. He uses an integrative approach having had training & experience in a wide range of therapies including: Narrative Therapy, Psychodrama, Transactional Analysis (TA), Dialectical Behaviour Therapy (DBT), Mentalization Based Therapy (MBT), Schema Therapy, Cognitive Behaviour Therapy (CBT), and Psychodynamic Psychotherapy.